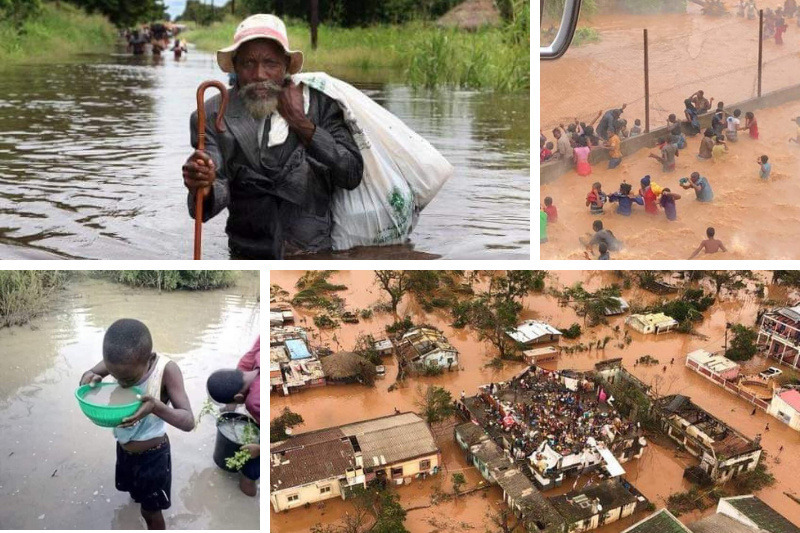 The Central Region of Mozambique has been hit by Cyclone IDAI with strong winds and rainfall, destroying most of Beira, the country's third largest city. 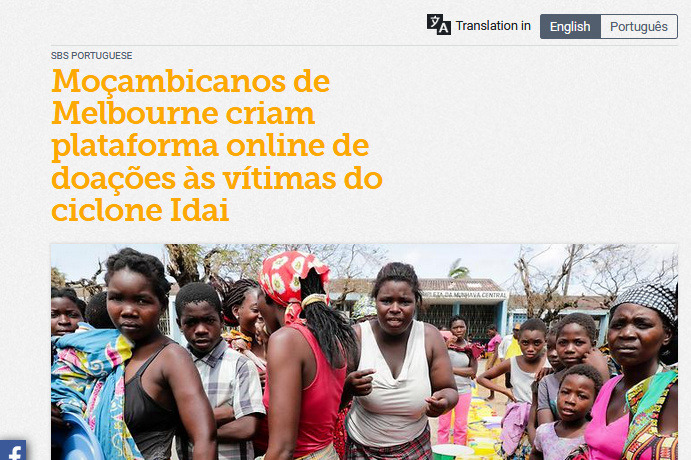 We're Mozambicans in Australia. We would like to ask for donations from anyone and well-wishers, which we plan to deliver once we get enough funds. Please feel free to contact us should you prefer not to donate with money and donate instead though supermarket gift cards, water treatment solutions, or even through a shipping service from Melbourne, to help us quickly deliver the goods to the crisis center in Beira. 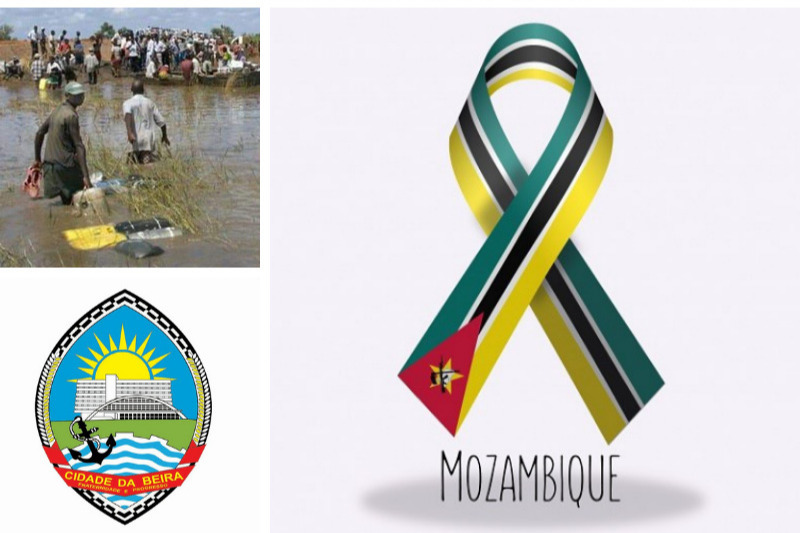 Every action will go a long way towards supporting those affected by Cyclone IDAI in Beira, Mozambique. Thank you in advance for your solidarity! Please see below one of the latest interviews from Voice of America, with the Honorable Daviz Simango - the City of Beira Mayor - explaining that about 100.000 families need assistance. Please keep the donations coming, OBRIGADO! Abaixo uma das últimas entrevistas da Voz da América com o Eng Daviz Simango, Presidente do Conselho Municipal da Cidade da Baira - explicando que cerca de 100.000 famílias precisam de assistência. Por favor, vamos continuar a doar, KANIMAMBO! Our THANK YOU to SBS and Jason Mathias in particular, for this so much needed coverage. Obrigado! Moçambicanos na Austrália criam plataforma online de doações às vítimas do Ciclone Idai. O nosso OBRIGADO à SBS em especial ao Jason Mathias, por esta tão necessitada cobertura contribuindo assim para dissiminação da nossa iniciativa para continuarmos a angariar fundos. Kanimambo! This is what our fellow Mozambicans are doing night and day at the Port of Maputo. They are all volunteers, who are helping pack aid kits to be sent to Beira. The first ship left yesterday afternoon, fully loaded with emergency supplies. Although in Portuguese, it will give you an ideia of what is also the solidarity spirit back home. This massive movement is being organized by UNIDOS POR BEIRA. 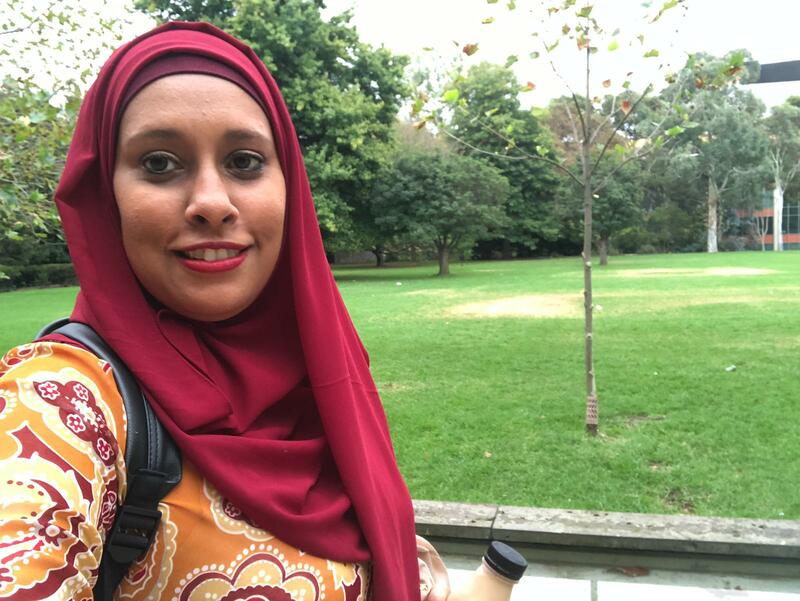 Please meet Tânia Mussagy (yes, Mozambique is also home to muslims). Tânia is doing her Masters at the University of Melbourne and today, she made a touching appleal to her colleagues and classmates. Tania, her family and us all - Mozambicans in Australia - we are deeply grateful for all your donations and response to our appeal. OBRIGADO! Hoje apresentamos-vos a Tânia Mussagy, estudante de Mestrado na Universidade de Melbourne. a Tânia hoje fez um pedido emocionante aos seus colegas de turma, pedindo ajuda para as doações. A Tânia, sua família e todos nós, estamos muito comovidos pela pronta resposta e a vontade de ajudar. No meio de tanta catástrofe, toda ajuda é pouca e por isso KANIMAMBO!